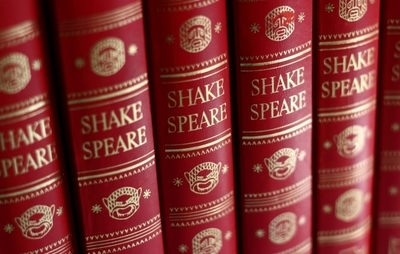 This may be a difficult question, due to the Bard's extensive body of work, but do you have a particular favourite, and why? That is a tricky one. It's hard to pick an overall favourite, but I have a favourite tragedy and a favourite comedy. My favourite tragedy is Macbeth, because I've seen some great productions of it and I like the themes. My five year old likes it too because she prefers "the gruesome ones" (though I haven't read her Titus Andronicus) and because it has witches in it. My favourite of the comedies is Much Ado About Nothing, partly for sentimental reasons (I had a reading from it at my wedding), but also because I love the character of Beatrice. It's one of the most fun female roles in Shakespeare. I had to study King Lear and The Merchant of Venice when I was at school so I'd probably choose these. Hamlet. I'm not sure why to be honest. Studied 'Julius Caesar' for Grade X, & 'Macbeth' for Grade XII. 'Macbeth' is my fave play. It's got all the emotions covered, with a bit of 'supernatural' thrown in, & 'messages' with alternative meanings. Very gritty, with wonderful characters! Very easy to study, as are all of the Bard's Plays.